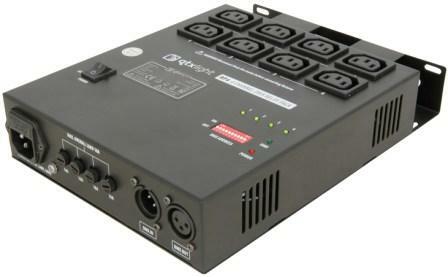 The QTX RP4 is a 4-channel switch unit which interfaces to DMX 512 controllers. It has been designed to fit on to a stand or mount on a wall. The QTX RP4 offers the same features as the MultiDim but without the dimmer function.